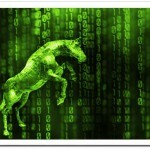 DropDrans is detected and classified as a Trojan downloader as an initial stage of a cyber-attack. DropDrans is employed by hackers to download and install different malware from designated web locations and remote servers. This way the cyber criminals can execute numerous malicious operations on the compromised machine. 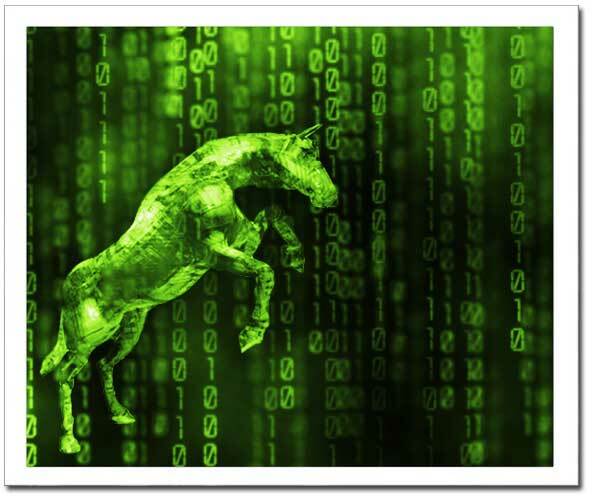 DropDrans Trojan is capable of downloading and installing a key logger and screen grabber application automatically, so the attackers can get their hands on your personal and banking credentials, usernames and passwords to your online accounts. Experts recommend the use of a trusted anti-malware program to remove the DropDrans Trojan downloader from your computer. Download a FREE System Scanner, to See If Your System Has Been Affected By DropDrans. Trojan downloaders like DropDrans may be employed to inject the affected computer with malware and viruses that can expose the system to major security issues. Experts with Microsoft that DropDrans gets installed with a random file name to a random folder. One of the reported file names used by the Trojan is intel.exe. DropDrans can download files, some of which may be malicious, from a hard coded Dropbox account. The account is currently offline, according to the specialists. A clear sign that your computer is infected with DropDrans is the presence of each of these files on your machine. Microsoft detects the threat as TrojanDownloader:Win32/Dropdrans.A. How to Remove DropDrans from Your Computer? It is possible that there is malware on your machine that prevents antivirus programs from executing. Follow the steps below in order to gain access to the Web and download a reputable anti-malware tool. Malware may modify the settings of your browser or disable it completely. In case you have problems with the browser you are currently using, open a different one instead. Download an anti-malware program on another PC, copy it to a CD, DVD, USB flash drive or a removable media of your choice. Install the AV program on the infected computer. Threats such as DropDrans may be persistent. They tend to re-appear if not fully deleted. A malware removal tool like Combo Cleaner will help you to remove malicious programs, saving you the time and the struggle of tracking down numerous malicious files. Threats such as DropDrans may be persistent on your system. They tend to re-appear if not fully deleted. A malware removal tool like SpyHunter will help you to remove malicious programs, saving you the time and the struggle of tracking down numerous malicious files. Note! Your computer system may be affected by DropDrans and other threats. SpyHunter is a powerful malware removal tool designed to help users with in-depth system security analysis, detection and removal of threats such as DropDrans. 1. Install SpyHunter to scan for DropDrans and remove them. 2. Scan with SpyHunter, Detect and Remove DropDrans. Ransomware infections and DropDrans aim to encrypt your files using an encryption algorithm which may be very difficult to decrypt. This is why we have suggested several alternative methods that may help you go around direct decryption and try to restore your files. Bear in mind that these methods may not be 100% effective but may also help you a little or a lot in different situations. Note! Your computer system may be affected by DropDrans or other threats. Remove DropDrans by cleaning your Browser and Registry. Fix registry entries created by DropDrans on your PC. Combo Cleaner is a powerful malware removal tool designed to help users with in-depth system security analysis, detection and removal of threats such as DropDrans. Step 5: In the Applications menu, look for any suspicious app or an app with a name, similar or identical to DropDrans. If you find it, right-click on the app and select “Move to Trash”. Step 6: Select Accounts, after which click on the Login Items preference. Your Mac will then show you a list of items that start automatically when you log in. Look for any suspicious apps identical or similar to DropDrans. Check the app you want to stop from running automatically and then select on the Minus (“–“) icon to hide it. Remove DropDrans – related extensions from your Mac’s browsers. A pop-up window will appear asking for confirmation to uninstall the extension. Select ‘Uninstall’ again, and the DropDrans will be removed. When you are facing problems on your Mac as a result of unwanted scripts and programs such as DropDrans, the recommended way of eliminating the threat is by using an anti-malware program. Combo Cleaner offers advanced security features along with other modules that will improve your Mac’s security and protect it in the future. Hey !, I found this information for you: "Remove DropDrans from Your Computer". Here is the website link: https://sensorstechforum.com/remove-dropdrans-from-your-computer/. Thank you.